According to a traditional proverb the eyes are the window of the soul. I completely agree with this and I also believe that expressions are the window of the mind. As a teacher when I am in a class, I not only listen to what my students say, but also try to perceive the unspoken. I genuinely believe that students express way more through their expressions and body language than they do through words. There might be various reasons which cause this to happen. Some students might not be having a clear understanding of how to express themselves in words, while others might not be willing to do the same due to hesitation or uncertainty. There might as well be other reasons which we are unaware of. So it is only fair that we enter each class like an empty tray, ready to observe and absorb all that the expression basket has to offer. 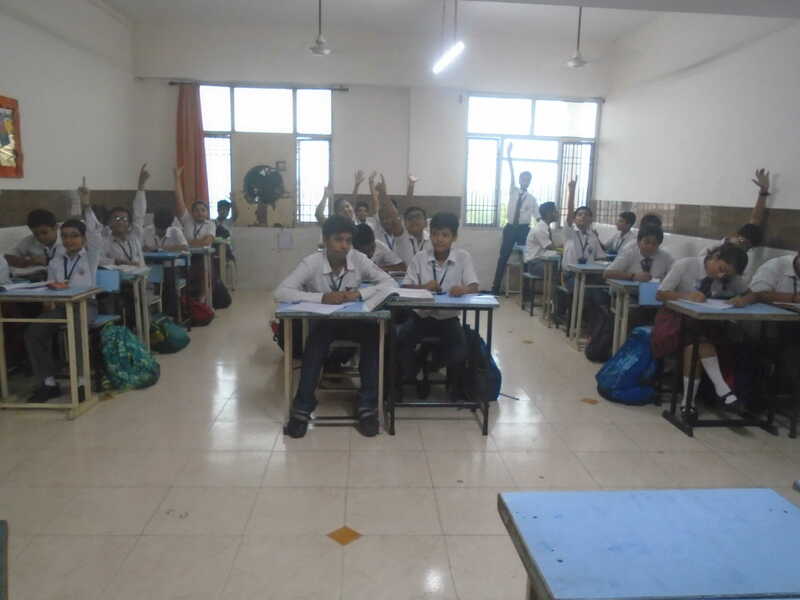 In this particular photograph I have tried to capture the expressions of my students after asking them whether they would want to come and solve a sum on board. I’m sure as teachers we come across this situation often. But what makes it unique each time is the way students react to it. This picture reiterates the fact that each child is unique and so is their learning style and speed. I have students who immediately raise their hands and look at me with a broad smile, eagerly waiting for me to call out their names. And there are some who quietly continue with their work, showing no interest in coming in the limelight where everyone will be just looking at them. There are also some students who raise their hands but still keep their gaze fixed on their notebooks- as if trying to convey that they know the answer but aren’t too confident about solving it on board. This can also be taken as an indication of the students being unsure of the answer but still being willing to give it a try. On the contrary, there are some who just can’t hold their excitement and stand despite raising their hands – probably to increase their visibility. And then there are few who just don’t seem to be affected by what’s going on in the class. They stay happy and lost in their own little world till we bring them back to ours. This is just one of the many situations that we come across in our classrooms every day. It is through these observations that I get to know my students better. The students need to feel comfortable in expressing themselves and should feel accepted in a class. This will form the base of developing a better understanding between the teacher and the students. I, as a teacher, understand and respect their individuality and try my best to give them the freedom to express while staying as observant and welcoming of their expressions as I can. My students are free to experiment, explore and express. Very well composed on children expressions. Being a teacher these observations plays a vital role in building individual kids and teaching them accordingly. These understanding of children will also increase the bonding of teacher and children. Liked your article very much. Neha Khanna My goal is not to be better than anyone else, but to be better than I used to be.